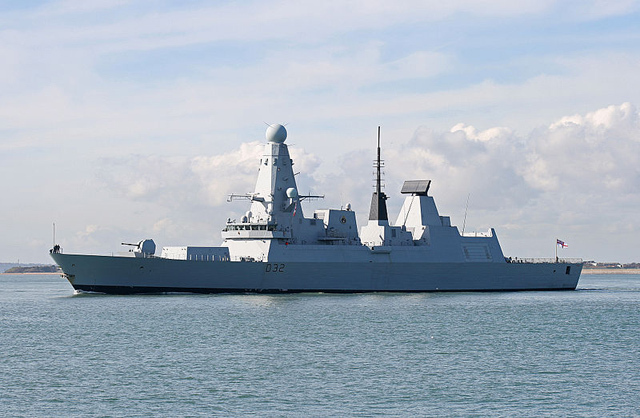 The HMS Daring, the first of the £1.1bn type 45 class of British destroyers, gets a calling out by The Register. According to the story, the Daring has been practically unarmed for the last three years, finally getting, according to them, a practically useless missile (the Sea Viper) for anti-ship defense. The Sea Viper isn't such a bad anti-missile missile, and probably is pretty effective for defense, but I think the whole thing boils down to the offensive armament. An Arleigh-Burke class destroyer has a similar main gun, but does have cruise missiles, anti-ship and anti-sub missiles. The Daring's anti-sub torpedos are born by their helicopter, along with Sea Skua anti-ship missiles. US destroyer defensive armament is also better, including phalanx guns, and for close in work, chain guns. The Daring has 30 mm Oerlikons, something that preceded phalanx guns and are less effective. The Daring is heading for some upgrades, though. BAE is thinking about upgunning their 4.5 main gun to 155mm. Phalanx guns are on the list, and the launchers for anti-ship missiles, while not installed, are designed in. Fitting them would not require redesign of the ship. I suspect that if the UK gets itself into a serious shooting war, the ship will be upgraded quickly and put to work.